Ever since the initial release of the GPS Astron models in 2012 they have been extremely popular with international travelers. 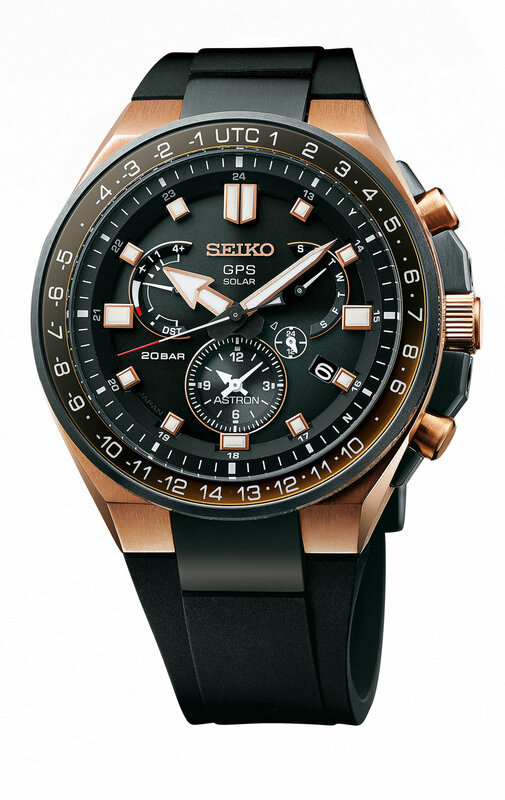 In 2017 Seiko Astron Executive series were the first models designed to be used as an everyday watch suitable for all occasions. The new three models in the Executive Sports series now extend this concept of a watch for all purposes by expanding on a number of key features. Being an Astron the watch is able to sync its time with a GPS source anywhere in the world ensuring you always have the correct time. The watch is also solar powered so it does not need to have a battery change. 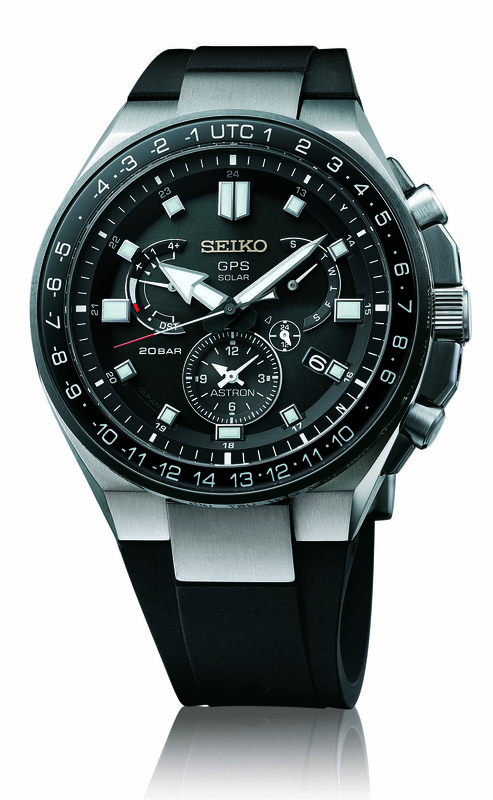 The new models all have an 8X53 movement that features a dual time sub-dial and an AM/PM indicator. 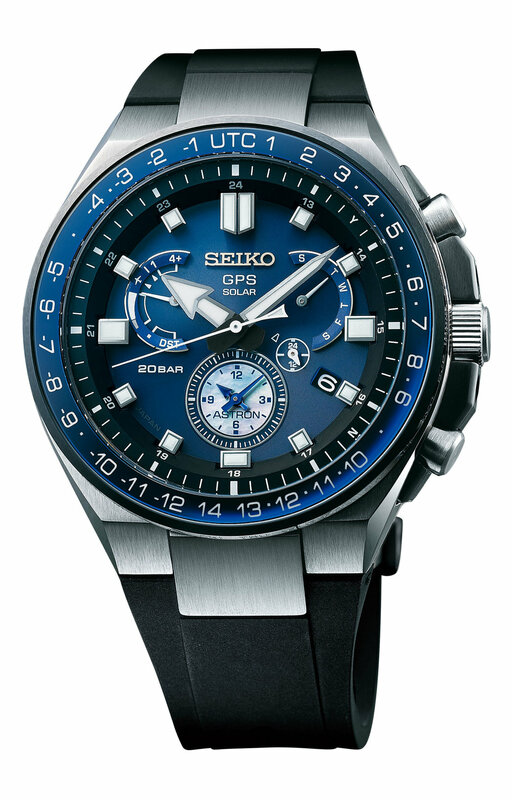 The key features for the Executive Sports line are the addition of 200m water resistance, a first for Astron. The watch also has wider hands with the highest grade of LumiBrite that makes them easier to read than the regular Astron models. Around the bezel there are UTC codes listed that also are coated with LumiBrite to enable reading in the dark. The watches have an integrated extra strength silicon strap with a new style of buckle. Each model is housed in a titanium case with a super hard scratch resistant coating and zaratsu polishing. The case design also features an integrated crown and pusher guard to protect against impacts. The models come in three versions, a blue SSE167, black SSE169 and a golden colored SSE170. In addition to the three standard models there is a Novak Djokovic Limited Edition SSE174. This model has a black case and dial with golden highlights and the inner bezel has love, 15,30 and 40 marked indicating the tennis points scoring. On the bezel there is UTC timezones for the four cities that host the Grand Slam tournaments, Paris, London, New York, and Melbourne are highlighted. This is a limited edition of 1500 units.